Morro de Sao Paulo – Hostels in Morro de Sao Paulo. Maps of Morro de Sao Paulo, Photos and Reviews for each hostel in Morro de Sao Paulo. 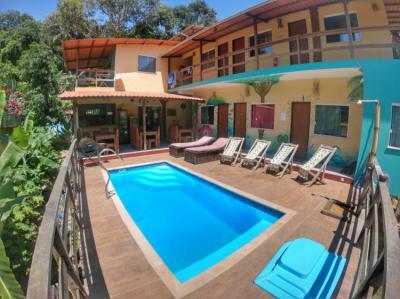 Looking for a hostel in Morro de Sao Paulo? Look no further, all the good deals in Morro de Sao Paulo are on Dorms.com. Like thousands of other people every month, book your hostel securely at the best price in all neighbourhoods of Morro de Sao Paulo. On this site, you can easily find a hostel downtown, in a trendy neighbourhood; a hostel in the student- university district, close to bus or train stations, airports or major attractions of Morro de Sao Paulo. Nature, trees, birds and the beaches! We are in the middle of the crowded area, however in a calm and safe alle y where fishermans and locals live. It is quite a residencial area in the middle of the crowded. Very sociable and friendly hostel. Each night everyone socialises in the common area then heads out to a party if they wish. The owners were lovely. Breakfast was good. Aircon on in rooms overnight. Only downside would be a 10-15 min walk to the beach but it is set In a nice quiet location in the jungle. A brilliant hostel. Stunning location, fantastic pool, friendly staff and clean facilities. The owners are incredibly helpful and friendly. The best hostel I have visited in Brazil so far. If you are staying in Morro, this is definitely the place to stay. The island itself is good fun with plenty of bars, restaurants and beautiful beachside. The beds are pretty small and somehow comfortable. The owners are very kind and tried their best. The staff are wonderful. Good location but with difficult access. Beds are pretty comfortable. The owner, Miguel, was really friendly and helpful and always around for a chat (in portuguese, english or spanish!). 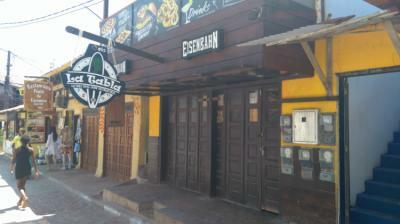 The place is really well located and everythng was fantastic considering the price! Thank you so much for a lovely stay!